They won’t yellow like fiberglass. You can choose your drain location. You don’t have the cost of moving plumbing around. You can create a custom shape to fit a curved design, custom NEO angle shape or an offset style pan. These bases won’t flex and squeak when you walk on them – even if you you’re not built like Victoria Beckham, Gigi Hadid or an anorexic supermodel. You can live life “in color.” You can either design your own tile pattern or choose from 51 varied solid surface colors. You can get these bases clean. It can be nearly impossible to get dirt off the bottom of a fiberglass pan. 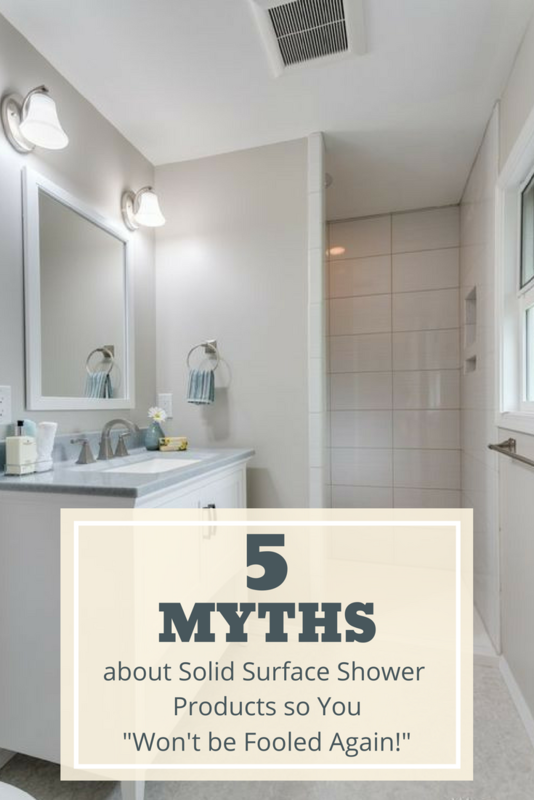 While both these shower bases have it all over fiberglass – the challenge I see is homeowners (and contractors) struggling to know how to choose between solid surface and ready for tile. 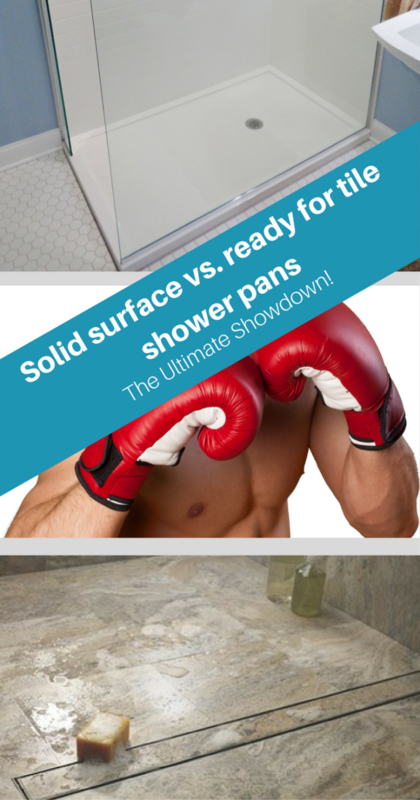 In this article I’m going to pit both shower pans against each other in the ultimate showdown. At the end I’d like to get your take on which is best. This shower pan UFC (Ultimate Fighting Championship) won’t get you bloody or gross you out. It will save you money. 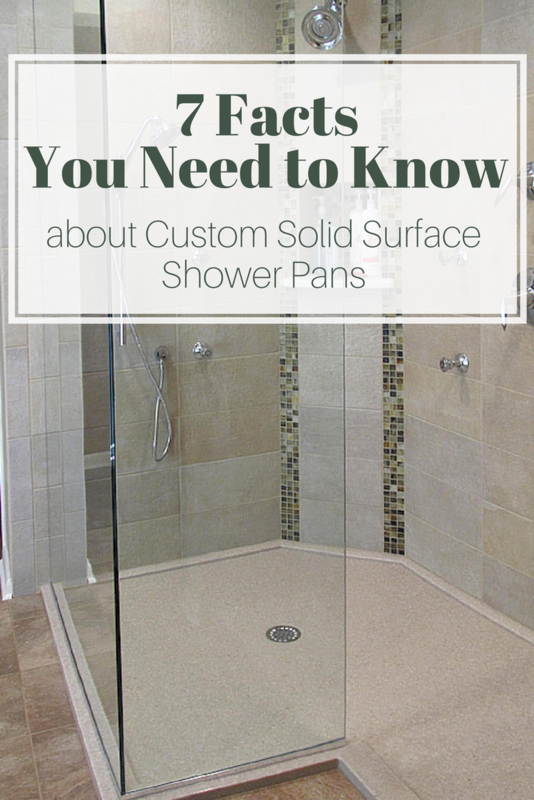 You won’t make a bad shower base selection you’ll regret in a space you use every single day. Let the rubber cleaning gloves come off and the battle of the shower bases begin. If someone had a dime for every nasty tub and shower enclosure out there – they would truly be a rich person! Let’s face it – since tubs and showers are by there very nature wet spaces they can certainly get unpleasant over time – moldy walls, dirty grout joints, chipped, stained and rusty tubs are just some of the conditions many people find in their baths. The challenge is how can the bath or shower be remodeled to not only improve the looks of the space – but also to make it more functional, safer and healthier? Learn below about an exciting approach which can be used for a shower replacement or a bath to shower conversion which can be used for to transform an ugly (and perhaps unsafe) bathroom into one you’ll enjoy entering every day. To increase safety and improve the function of small bathroom spaces typical in many 5 foot by 7 foot bathrooms homeowners are choosing to convert a bathtub into a shower. Since most of these bathtubs are 60” x 32” there is not as much elbow room for a shower as some would like. In the past many customer’s have opted for curved shower rods and curtains to gain some extra room in a shower conversion project – but often shower curtains can get stained and need to be replaced too often. 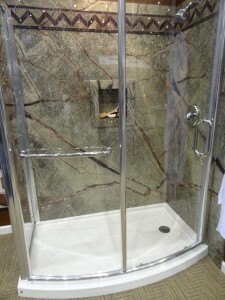 A new solution has come into the market with a line of curved shower bases and curved shower door systems. The “Bowfront” acrylic shower bases made by Fleurco are only 32” at the at the sides of the two walls for shower alcove but it curves (or bows) out to 36” in the middle of the shower for extra elbow room in the shower. The bases come in white and biscuit colors with drains located on the left and right sides. The curved shower doors are available with clear glass (for someone who wants to keep a view for intricate tile work or plumbing fixtures) and with obscure glass (called Paris Point) for a higher level of privacy. The systems are available in framed or semi-frameless designs with chrome or brushed nickel finishes. To add more safety to these showers consider a decorative grab bar for the entry and to increase the inside space use recessed niches to hold soap and shampoo. What do you think of the design and function of these curved shower walls? Please comment below. 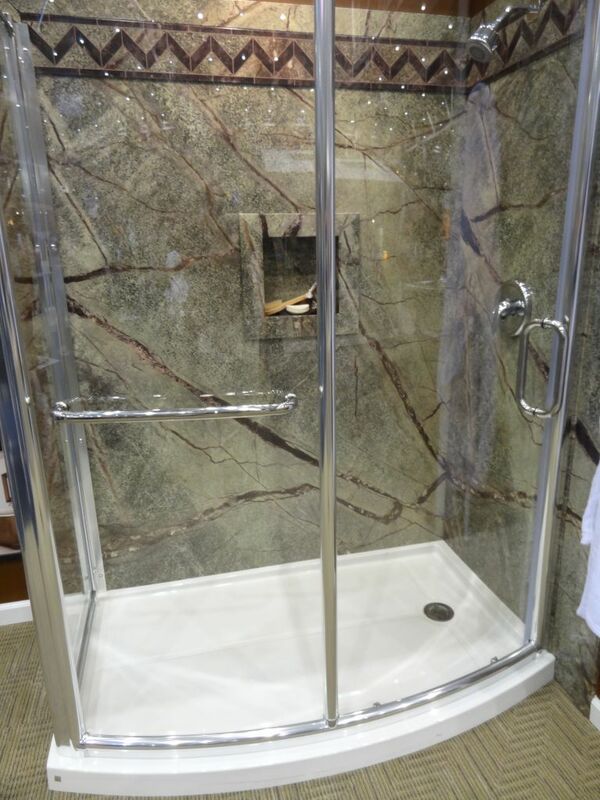 If you’re looking for more information or an estimate on curved shower wall enclosure and base system call or visit Bath Doctor of Cleveland (216-531-6085) and Columbus (614-252-7294) or for a more extensive bathroom remodeling project visit Cleveland Design & Remodeling (216-658-1270). If you’re looking for nationwide supply on this item call Innovate Building Solutions at 877-668-5888.